I wrote few days ago that microfinance banks in Nigeria have terrible business models, and must be fixed. 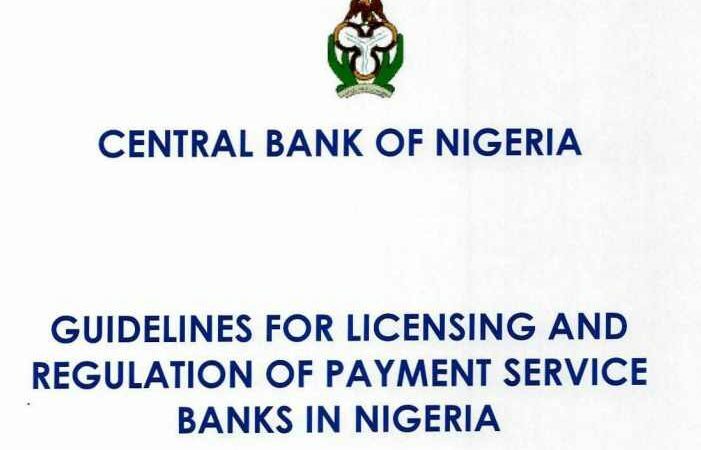 The business model problem was endemic as it emanated from the regulations the Central Bank of Nigeria (CBN) imposed on them. My conclusion in that piece was clear: unless they are refocused, most would die, and the mission – financial inclusion of underbanked – lost. There is an inherent systemic flaw in the microfinance banking business model in Nigeria. I know someone won a Nobel Prize for pioneering the broad nexus of microfinance sector, but in Nigeria, it is simply not a good business model. 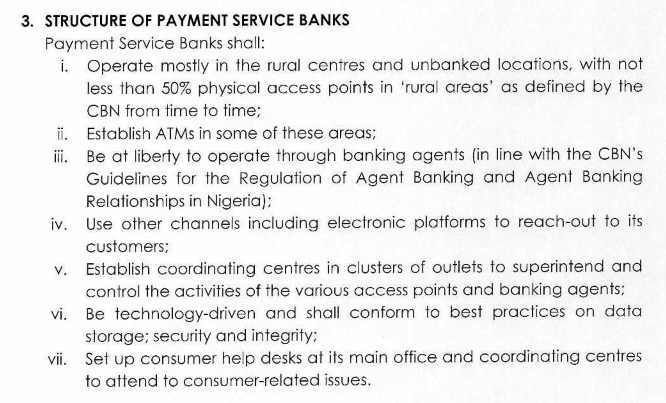 You are expected to serve largely non-premium customers even though you cannot receive easy deposits as a “bank”. Yes, you have to look for expensive capital to serve people you would struggle to make money from. No issues – you would just be doing it until you run out of cash. 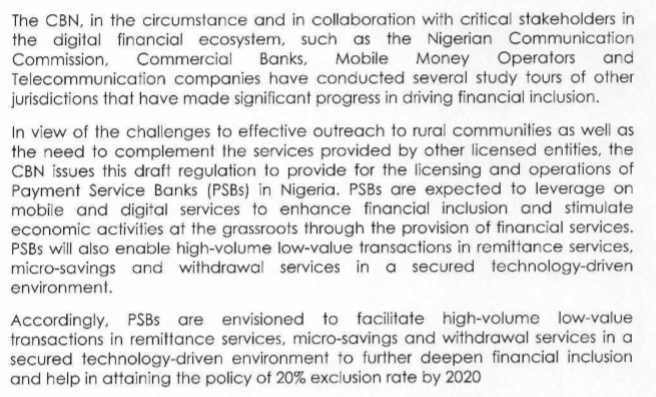 By coincidence, CBN is out to fix some levels of the challenges with a new financing institution: Payment Service Banks. 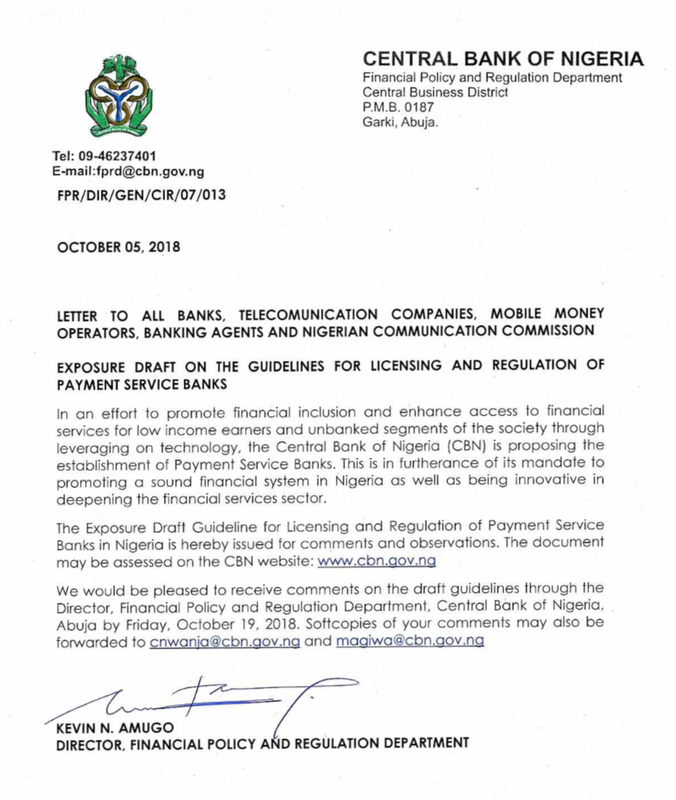 In the notice, CBN did acknowledge that microfinance banks and other institutions did not achieve the goal they were licensed for in the nation. It does hope Payment Service Banks will deliver. With PSB, banking agents (yes, the human-platform banking entities), supermarkets, etc can be banks. The apex bank is asking for submissions on the best way to design this new institution for the nation. Oct 19, 2018 is the due date.